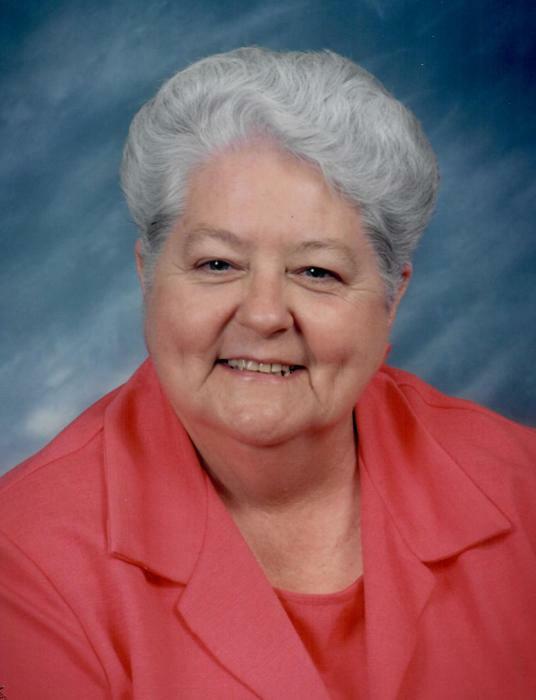 Katie L. Hargrove, age 80, passed away on Wednesday, July 10, 2018 in the Maury Regional Medical Center in Columbia, TN. Being a lifelong Marshall County native Katie was born on March 19, 1938 to Jimmy and Edna Hickman in Chapel Hill, TN and was a Forrest High School graduate. It was hard to tell which Ms. Hargrove loved more, children or cooking, they were both very special and important to her. She was a member of the Mt. Moriah Baptist Church, previous VBS Director there and was the director for the Operation Christmas Child Shoebox Ministry for Marshall County for over 10 years. Meals were regularly prepared for whomever dropped by at Katie's home. She retired from Teledyne after 38 years, spending her time there teaching soldering and was an inspector. Katie was preceded in death by her parents, Jimmy and Edna Hickman and a sister Janice Walls. She is survived by her loving husband of over 65 years, John T. Hargrove, Lewisburg; daughter Darlene Hargrove Beck, Lewisburg; son Danny (Mary) Hargrove, Lewisburg; brother Jimmy Hickman, Franklin, TN; five grandchildren; fourteen great-grandchildren; and two great-great-grandchildren. Visitation with the family will be held on Thursday, July 12, 2018 from 4:00 pm until 8:00 pm in the chapel of Bills-McGaugh & Hamilton Funeral Home. Visitation will be again on Friday, July 13, 2018 from Noon until 1:00 pm at Mt. Moriah Baptist Church, 990 Cornersville Highway, Lewisburg. The funeral service will begin immediately following the visitation at the church with Jeremy Haskins, minister of the Ashland Baptist Church, Richmond, KY officiating. Burial will follow in Lone Oak Cemetery, Lewisburg, TN. Ronnie Hargrove, Paul E. Reese, Mike Mills, Carson Walker, Titus Haskins, Maddox King, Phil Sharp, Randy Burton, Tim Moore, and Brian Moore, will serve as pallbearers. In lieu of flowers donations may be made to the Operation Christmas Child Shoe Box Ministry, c/o Mt. Moriah Baptist Church, 990 Cornersville Highway, Lewisburg, TN 37091, 931-359-0188. Condolences may be sent to the family at www.billsmcgaugh.com. Bills-McGaugh & Hamilton Funeral Home and Crematory is assisting the family with their arrangements.